This is one of a series of ‘flights’ across the Cumbrian parish of Asby, part of the ‘Westmorland Dales’ extension to the Yorkshire Dales National Park. It is the first in a series of videos by members of the Asby History Group which uses Google Earth technology to explore the historic landscape of the parish. A major theme of the series will be how the meaning of field-names can help us better understand the changed use, over time, of our landscape . 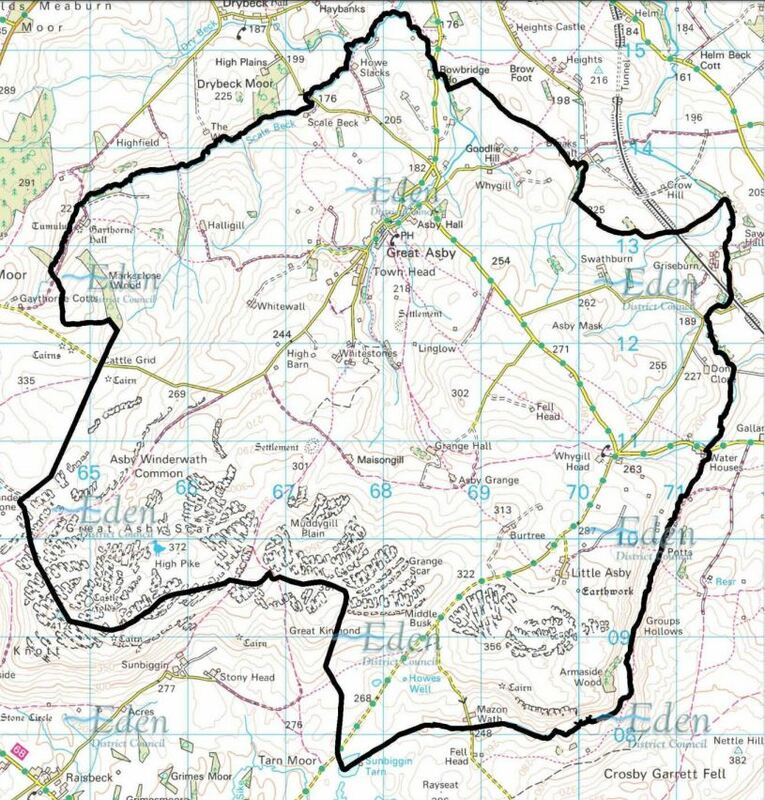 The production of this video has used medieval documents to attempt to trace lands within the parish which were granted, in the 12th and 13th centuries, to the Cistercian monastery of Byland which was located in North Yorkshire. To find out more about Byland Abbey and its history, check its pages on the the English Heritage website. In the process of tracing these lands, the video also explores the origins and meaning of the names of fields and landscape features, as well as identifying what appears to have been another significant monastic landholder in the parish. It is best watched in high resolution and in full screen mode. To ensure the best resolution click on the gear wheel to select ‘HD’. Click on the right-most icon to view in full screen mode. This is not a short video. It is some 65 minutes long and presents a quite detailed picture of one segment of the landscape. You may not wish to look at all of it in a single sitting. Note that, when returning to the video, you can always move the red progress slider to the point where you left off last time. New elements of the Parish Landscape will continue to be discovered. Further documents about it will be unearthed. Mistakes in the interpretation of landscape features and documents will continue to be identified and corrected. Check the latest research findings. 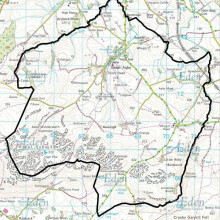 A map of some of the footpaths emanating from Great Asby. Download. – This ‘flight’ starts in the fields towards the bottom right of the map and continues through the landscape to the south of it. The remains of the 12th Century Abbey of Byland can still be found on the southern edge of the North York Moors National Park, close to its better known neighbour of Ampleforth Abbey. Now under the stewardship of English Heritage, to discover more and perhaps plan a visit, check their website.